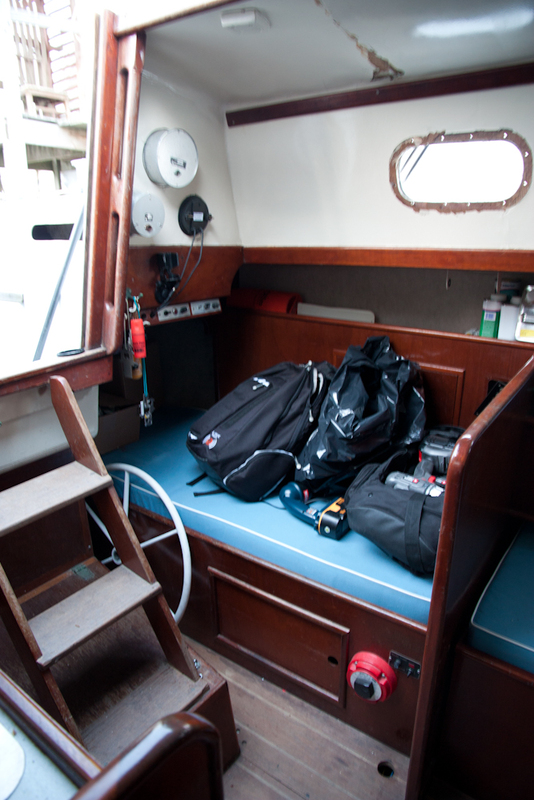 In our quest to make the boat more livable for us and the dogs, we’ve decided to tweak our layout a bit. When we got her, Chance had 5 berths, and slept 6 people, which is way more than we’d ever want to commit to having on board for an overnight stay. Part one of the plan is to make the galley bigger and make it U-shaped so I can easily access the sink, stove and freezer all from one spot. 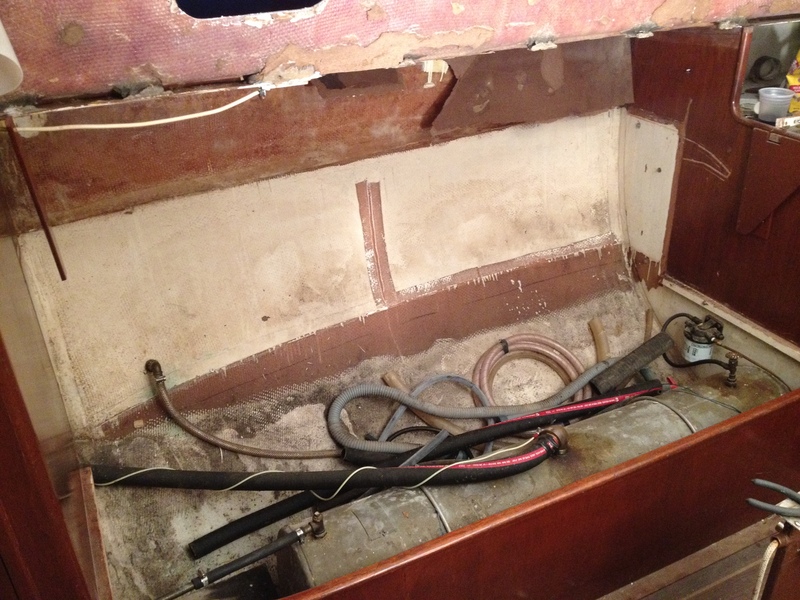 Part two is to create more storage space on the starboard side. 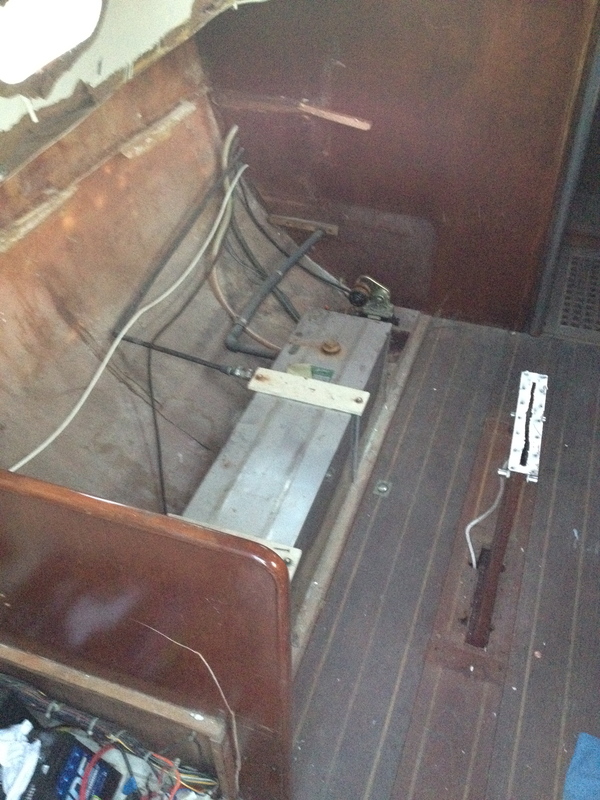 Part three is to add a desk/navigation station on the aft port side of the boat. And finally, part four is to add a futon-like couch area in the center port berth for J and I to sleep when underway. It’s a lot of work, but lucky for us J is a very skilled craftsman. The weather was pretty crappy on Saturday so we spent it inside tearing everything apart. I got an odd sort of satisfaction tearing everything to bits. In the end, it was definitely good that we were tearing it all up because it revealed some areas that we need to pay a little extra attention and also showed us a LOT of unused storage space. The best part of the demo was that I got to use my favorite tool again! And, the after photos! It looks a little scary (scary in terms of how much work we have left to do) and very unfinished now, but I can see the potential!